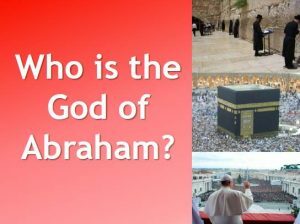 Jesus-Islam » God » Who is the God of Abraham? So many people think that there are three great Abrahamic faiths. Is it true? Moses gave us the story of Abraham’s life. What does Moses say about the God of Abraham?